Will I Be Able To Get Cannabis Prescribed On The NHS? With the publication of new regulations yesterday, it is now clear how cannabis will be available on the NHS starting on 1st November 2018. Only consultants will be able to prescribe cannabis and it will be entirely up to each consultant to make a decision about individual patients. 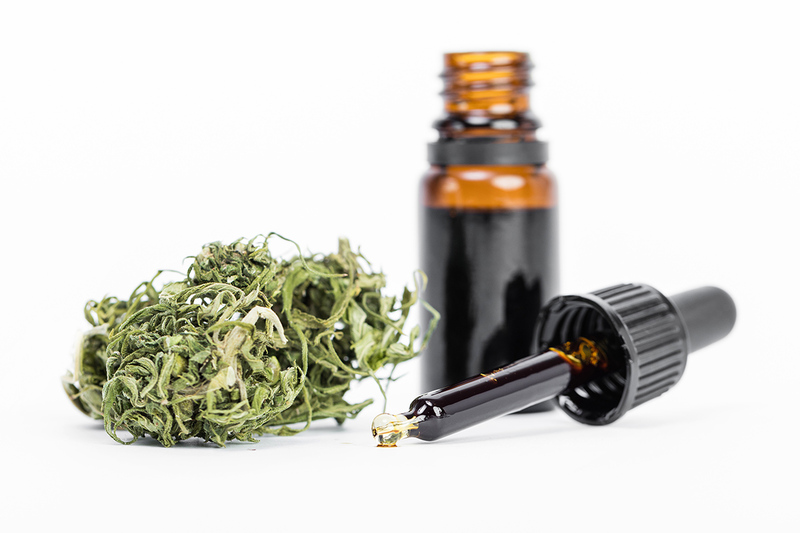 The definition of cannabis-derived medicinal products is sufficently wide that both oils and herbal cannabis manufactured to GMP (Good Manufacturing Practice) standards will be available. There is very little explanation included in the regulations but the intention is that prescribing guidance will be developed over time by NICE (National Institute for Health and Care Excellence). The regulations prohibit smoking cannabis for medical use but if your consultant decides it is appropriate for you, they will be able to prescribe herbal cannabis for vaping. Apart from Sativex, all cannabis products are unlicensed medicines described as ‘specials’, so your consultant is supposed to consider licensed medicines first. There are no restrictions on which conditions cannabis can be prescribed for. Again, it will be up to your consultant to decide. So this is marvellous news. It is a fundamental breakthrough and its impact will be enormous but it will take time for it to start working effectively. The law is no longer an obstacle. The biggest problem now is that very few consultants have any knowledge of cannabis at all and most are probably going to be very reluctant to prescribe. For the best part of a century, doctors, just like the rest of society, have been subject to a relentless flow of propaganda and false information about cannabis. Changing this with medical training, helpful prescribing guidelines and overcoming unjustified prejudice and fear are the new challenges we face. To begin with, a lot of people will be disappointed because their consultant will be unwilling to prescribe. The first thing you can do about this is ask your GP to refer you to a different consultant but it may be some time before understanding develops and consultants are sufficiently informed. Almost certainly there will be more resistance to prescribing herbal cannabis and it will be easier to get oil. As ever, the best thing to do is gather evidence on the use of cannabis for your condition(s). If you are well informed and prepared then you can help to educate your consultant. There is now an enormous amount of evidence available online. Just be careful to use proper scientific information and avoid the miracle cures and exaggeration that is still widespread. Whilst not everyone will immediately be able to get the medicine they need, we are now on the correct path. Instead of politicians imposing their ignorant opinions on you, your doctor will now be making the decisions and that is the way it should be. In time the right to prescribe will be extended to GPs. For now the truly wonderful news is that we are no longer engaged in a battle with the law. What it’s about now is patience and education. « Arrival After A 36 Year Journey. Great news! Legalisation is still the goal! Bravo mate! bravo! As cannabis was only moved to schedule 2, doesn’t that mean that only UK-licensed medicines containing cannabis can be prescribed? (Which means only Sativex… which is ludicrously priced, and so unlikely to be prescribed). Is it also the case that the only specialists allowed to prescribe are, specifically, pediatricians and neurologists? No is the clear, unequivocal answer to both your questions and, to be honest, I cannot understand where you get these ideas. The facts are clearly explained in the Home Office statement released on gov.uk and in the legislation itself which is linked to in my article. Sativex, in any case, is schedule 4 and has been since 2010. CDMPs will be re-scheduled from one into two provided they meet the definition but they will be unlicensed and therefore dealt with as ‘specials’. And there is absolutely no basis at all for suggesting that only paediatricians and neurologists can prescribe. The regulations are explicit. The 80,000 doctors on that register are the 80,000 consultants practising in the UK. From 1st November 2018, each of them has the right to prescribe as they see fit any CDMP which meets the definition . Yeah this is a very strong and positive step forwards into a better future, hopefully things will keep moving in the same positive direction following the evidence. I agree the biggest problem now as we forward is ignorance, most medical practitioners don’t know anything about Cannabis, because of prohibition and as you say they have been subject to relentless propaganda. I can also see Dr’s prescribing oils rather than herbal Cannabis to play safe, plus they want something processed that they percieve to be safe, and can be easily dosed in a manner they are familiar with. Whereas prescribing some bud to vape is a different matter, 1 gramme 4 times per day? as required? These people don’t have a clue, so they now find themselves in the embarrassing position of ignorance, having to catch up, you could say being forced to catch up, no doubt some will resent this. The prescribing of Cannabis derived medicines is definitely not going to happen over night for everyone this will be a slow process as medical practitioners learn how it can be used. I can’t help but think this is a terrible idea unless it’s much more difficult to get a marijuana prescription in the UK than it is in the US. Pretty much anyone can get an MMJ card from some Dr. Feelgood here, it’s basically a big joke. And to be clear I’m all for marijuana and everything, but giving everyone the ability to get free marijuana from your NHS for their “pain” or whatever they claim they have doesn’t seem wise. If you don’t think people would abuse that I think you’re very naive. They already abuse it here and they actually have to pay for their own marijuana. That is, again, unless it’s much more difficult to actually get a marijuana prescription in the UK, then maybe it will be fine.